A few years ago, it wouldn’t have been wise to let Megan Wiegmann near an aquarium. When the 23-year-old started experimenting with raising fish, she overfed them. According to Megan, doing so “essentially drowned [the fish] in their own waste.” The untimely deaths of her beloved gill-bearing buddies led her to research methods that would help her avoid a second heartbreak, and during this search she stumbled across information about hydroponic and aquaponic systems. Hydroponics (growing plants in nutrient-rich, water-based solutions) is already a popular method companies employ to cultivate large quantities of produce, whereas aquaponics combines hydroponics with aquaculture (raising aquatic creatures in a tank). Megan describes aquaponics as a “mutually beneficial system” in which the waste of the snails or fish or crabs fertilizes the produce growing atop the tank. Sure, she refers to the death of her sea creatures as “tragic,” but this incident and her subsequent research spawned her idea to create an aquaponic system designed for individual consumers. Other systems exist, but her start-up company – H2grOw – aims to create aquaponic systems that are cheap, efficient, and versatile. For instance, an H2grOw aquaponic system can fit on any aquarium that is ten to fifty gallons, and multiple systems can be linked to one another to increase efficiency and productivity. Unfortunately, Megan had no idea how to get her business started. She spent her freshman, sophomore, and junior years studying chemical engineering, tutoring, and killing time by being involved in extracurricular activities. 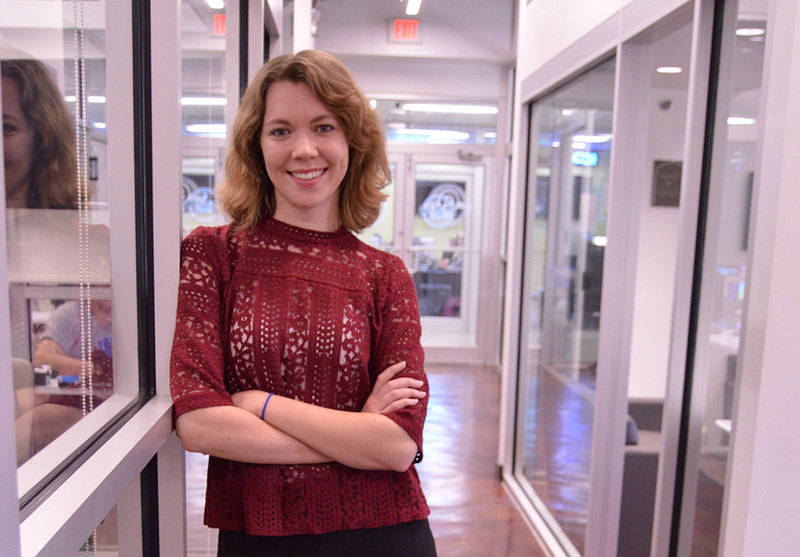 It wasn’t until she took Engineering Management during the Fall 2017 semester that Megan discovered how she could add “Owner of an LLC” to her list of accomplishments. During an Engineering Management lecture about the development of corporations, one of her peers mentioned how working with the E-Center could end with obtaining an LLC. Megan finally knew where to go and who to talk to about kickstarting H2grOw. Megan’s experience ensures fish will remain safe and swimming and – thanks to H2grOw’s aquaponic systems – fertilizing.